Got an e-mail from Windham weaponry today showing their new 450 Thumper pistol! Every time I turn around, there's another option for 450B, I love it. Wondering if they will sell just the upper, and how much. I would be interested if I didn't order a 12.5" BHW a few weeks back. Hell, if they sell just the upper cheap enough, I might just pick one up to try out. Give then a call they might sell just the upper. I bought my 450 upper from them for my SRC but it was offered separately. My eyes must be going south. That linked picture looks like a short rifle. Hoot wrote: My eyes must be going south. That linked picture looks like a short rifle. Boy, I wonder why they made the rear part look like an M4 adjustable stock rather than just a brace like you see on those aluminum forearm crutches. Seems like a lot of cosmetic effort, for no reason. 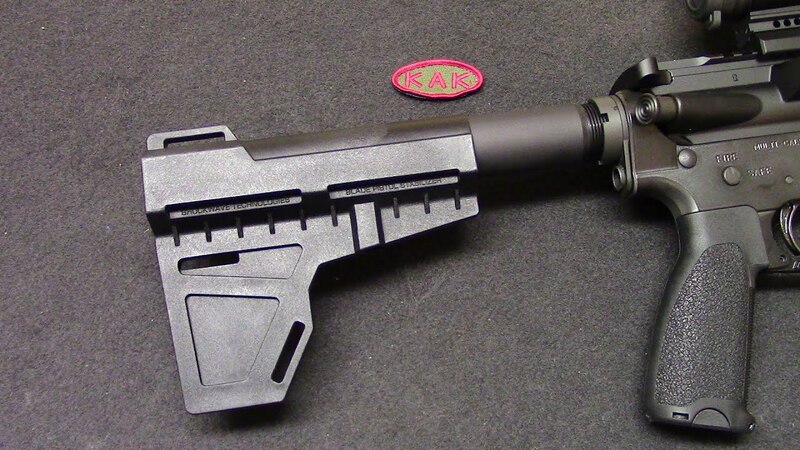 Slowly, but surely, modern manufacturers are making the 1934 NFA look more and more like the useless piece of infringement it is. I prefer Shockwave braces, myself, but this looks good. 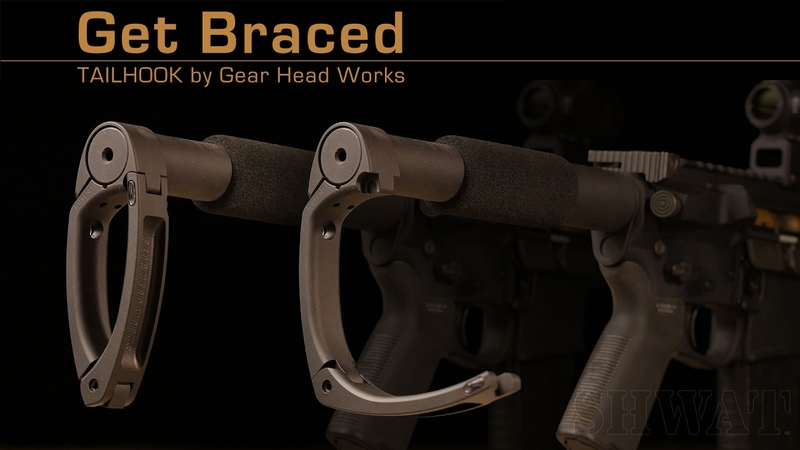 The Tailhook is also a neat, and functional, arm brace.